Celebrate the Season with MILL Artists! 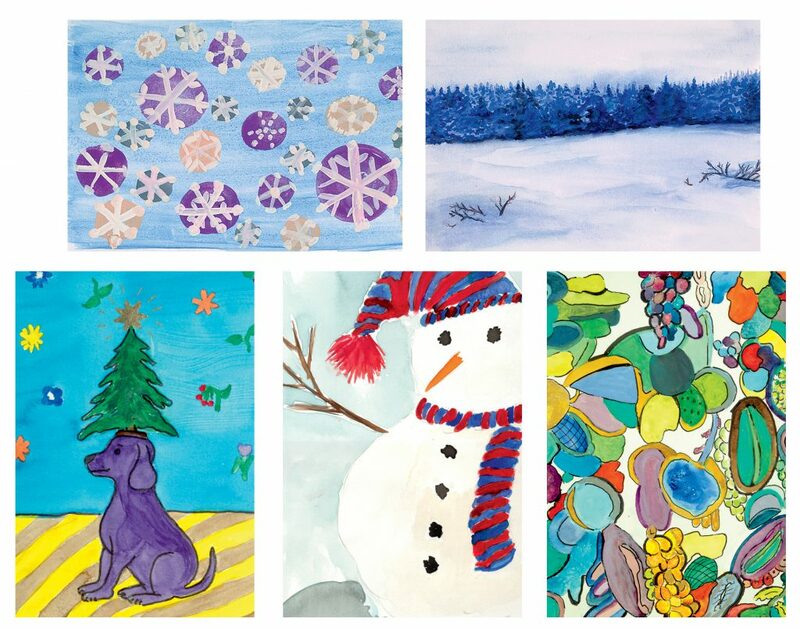 Celebrate the Season featuring paintings by 20 student artists will be exhibited in the Upper Lobby of the Vance Wall Art Education Center at the Montclair Art Museum through January 7, 2018. The artists are local residents who participated in a watercolor and gouache class offered by the Montclair Institute for Lifelong Learning (MILL) through the Montclair Art Museum’s Creative Aging Initiative. The May 2017 class was taught by Karen DeLuca and Kristine Lombardi. Five of the paintings (shown below) have been reproduced on blank notecards and are being sold in boxed sets through the Montclair Art Museum Gift Shop to raise money for future MILL programming. Notecards may also be purchased online at https://www.montclairartmuseum.org/mam-retail/products/mill-holiday-cards. The MILL is part of Lifelong Montclair, the Township’s initiative that supports Montclair as an age-friendly community. Classes foster opportunities for lifelong learning and socialization for adults aged 55+. The MILL is a collaborative effort of the Montclair Public Library and its Adult School of Montclair Department, the Montclair Art Museum, the Montclair History Center and Montclair State University. It is funded in part by Partners for Health Foundation and donations from the community.